Located in the most scenic area of the Big Sandy river valley, this uniquely secluded Arizona land for sale is situated right on the Big Sandy river with an abundance of water and agricultural growing capacity. 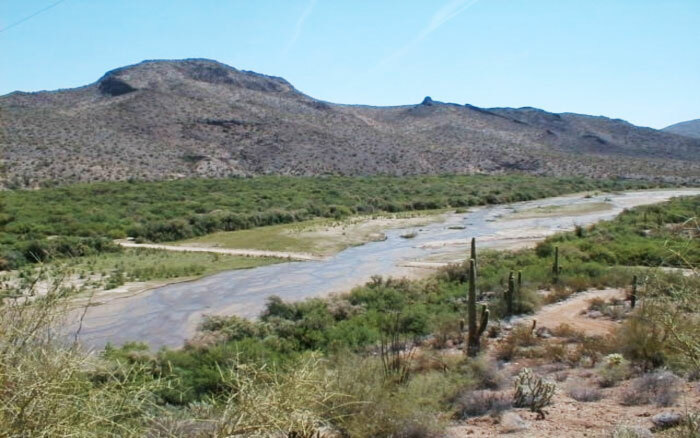 The setting on the river allows for ranch house log cabins on the hilltops overlooking the river and is a prime location for an organic tree farm or an exclusive private horse ranch property with horse corrals situated on pasture land along the river banks below . 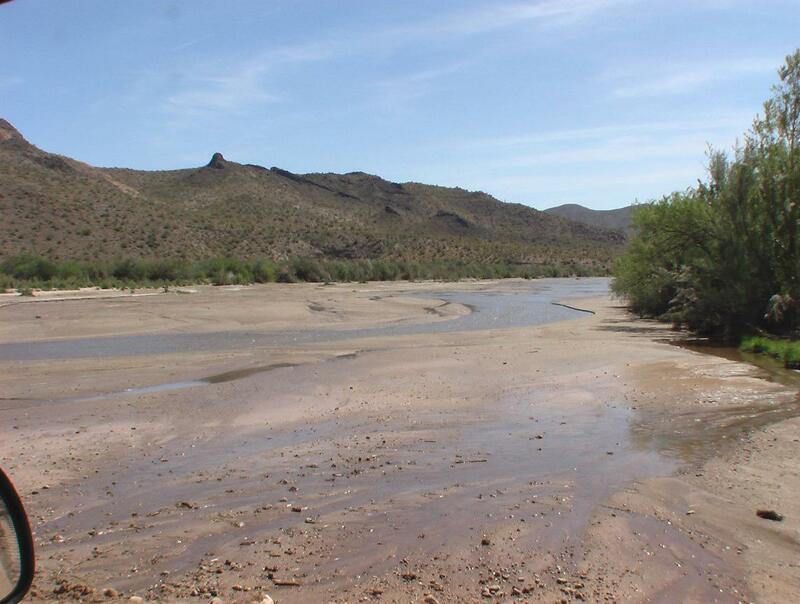 A majority of the land is available for use as riparian habitat land for sale in Arizona and with the grandfathered water rights, this picturesque ranch land has great potential as priority water rights for sale in Arizona. 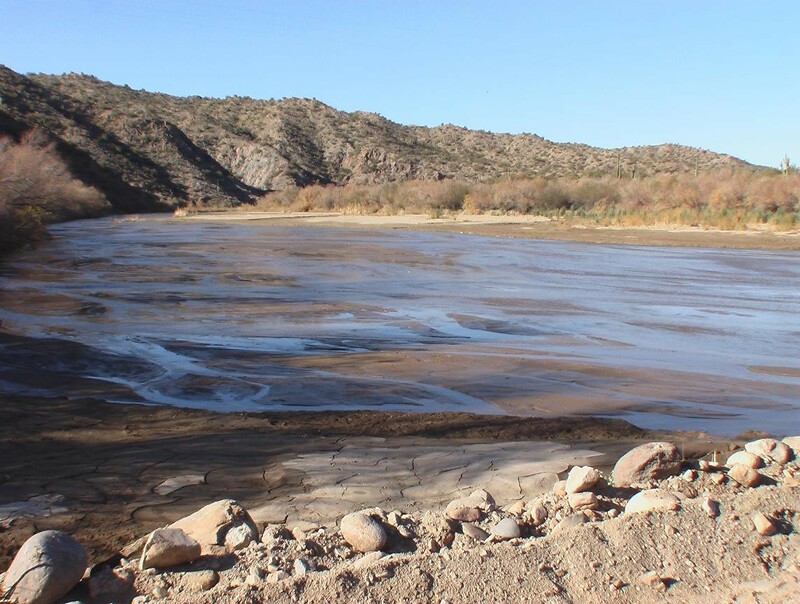 Water is abundant and wells ranging from river surface to 300 feet. 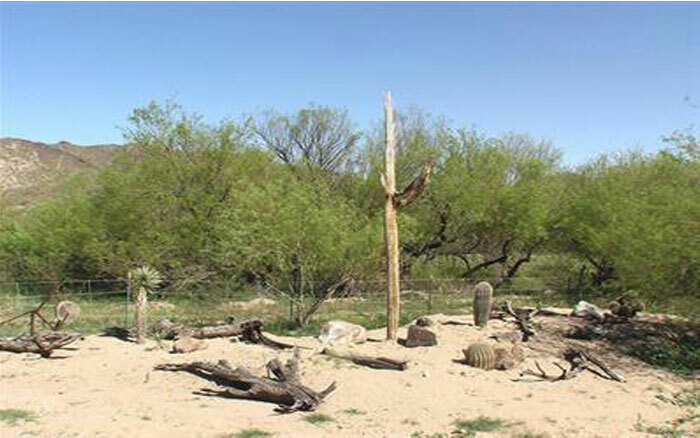 Power is available from a local electrical utility co-op with old power poles on the ranch property. 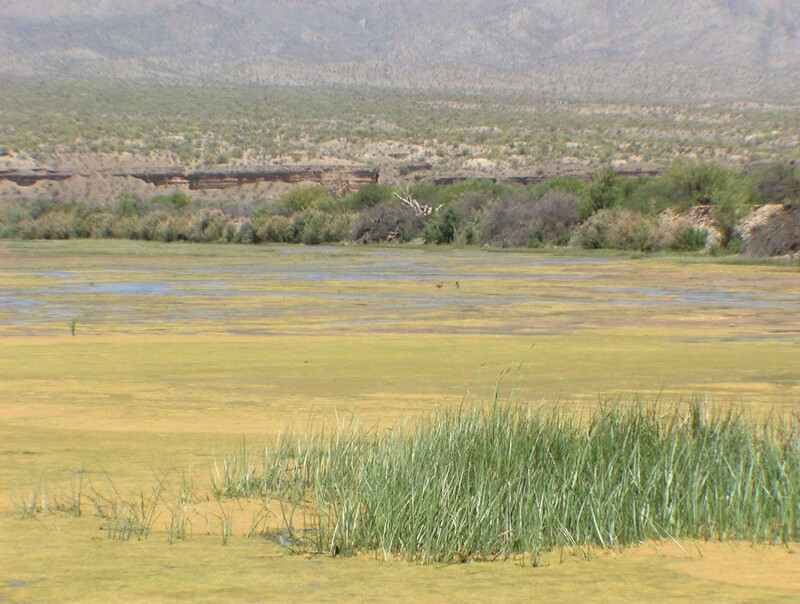 Sewer is septic systems. 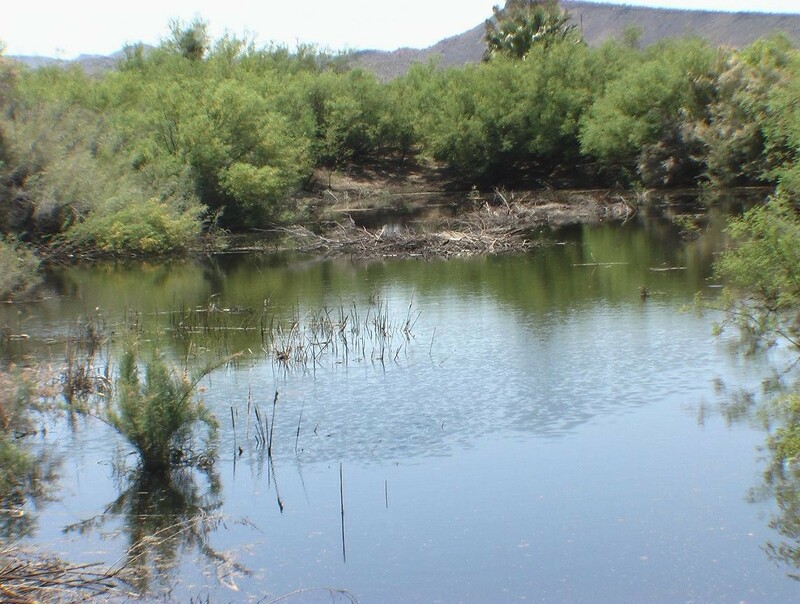 This Mohave County land for sale is bordered by Bureau of Land Management land that encompasses 1000’s of acres. 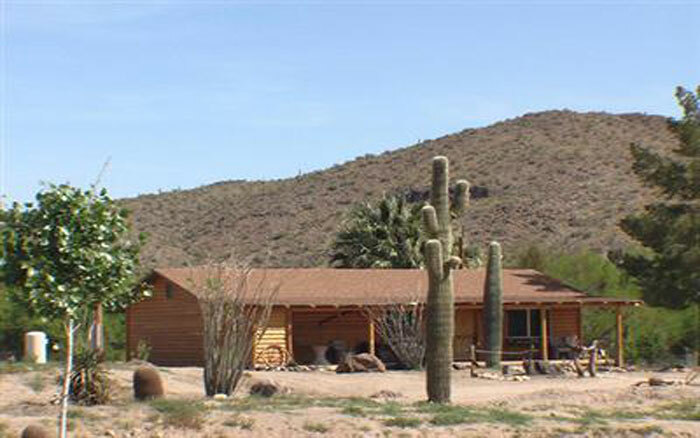 The ranch acreage is covered with an abundance of saguaros, mesquite, Palo Verde, Joshua, Ocotillo, and many other varieties of plants that you would expect of land for sale in Arizona. 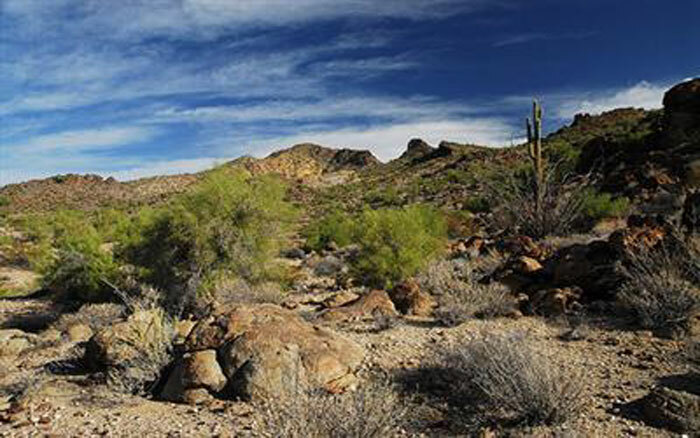 To further enjoy the Arizona ranch experience, there are abundant Old mining claims like the historic Signal and McCracken mines that are only a few miles from the property site. 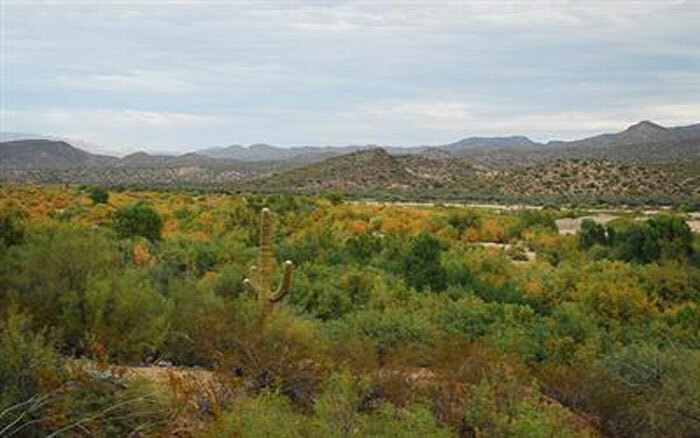 This ranch land for sale in Arizona is a rock hound’s paradise with slopes and washes rich in mineral deposits. 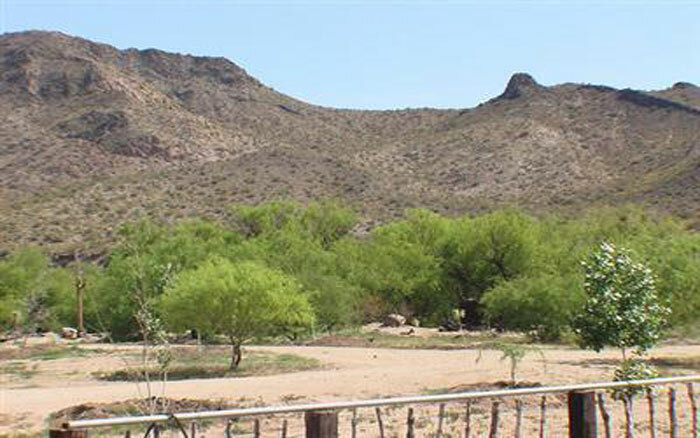 You can run across many of the local inhabitants such as wild horses, trophy mule deer, wild burros, javalina, quail, rabbits, an occasional fox, mountain lion, and many different species of birds. 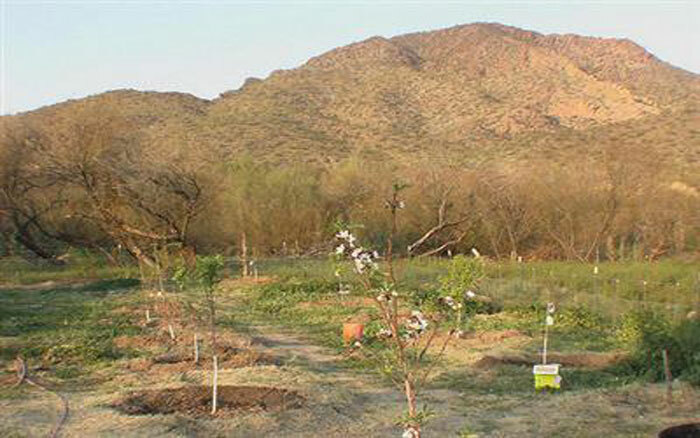 Ranch acreage is situated about 1600 to 1800 foot elevation for a moderate sonoran desert, ranch climate. 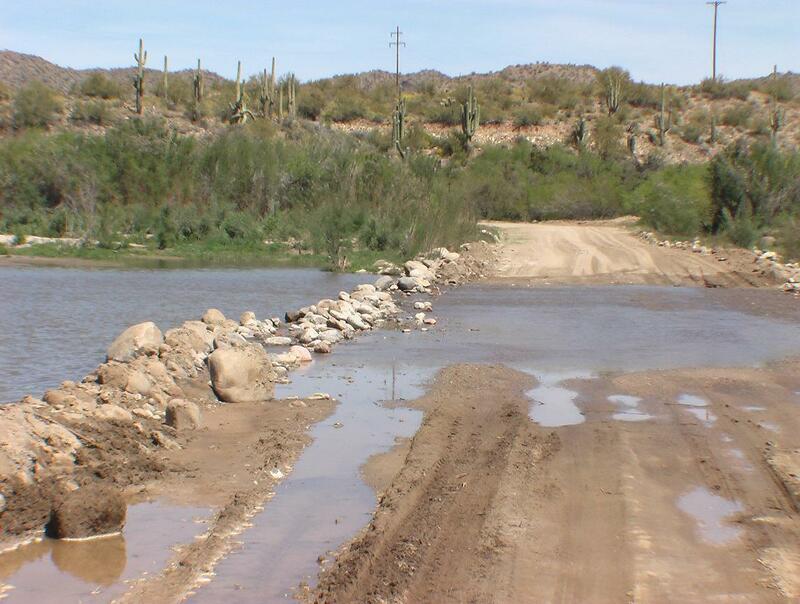 Situated just 10 miles south in the Big Sandy River basin on Signal Road. 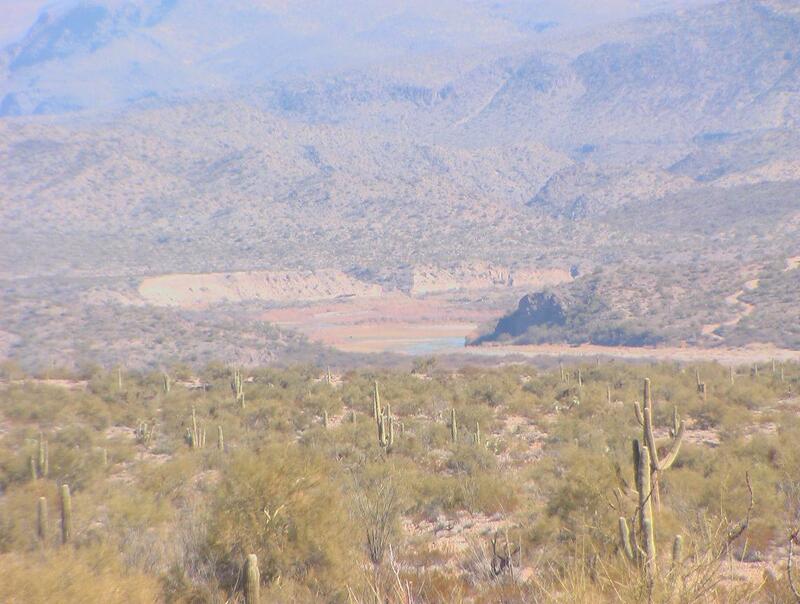 Take Signal Road west off mile marker 132 on Arizona US Highway 93, only 1.75 hours north of Phoenix, Arizona. 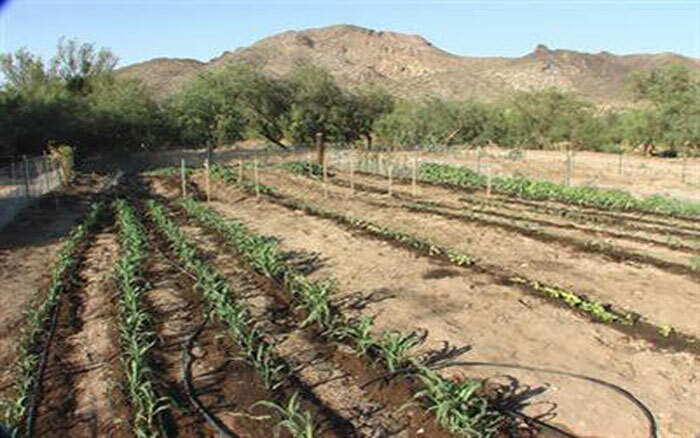 Located only 1.25 hrs north near the Wickenburg land for sale region off state route 93 and 30 minutes south of Wikieup Arizona. 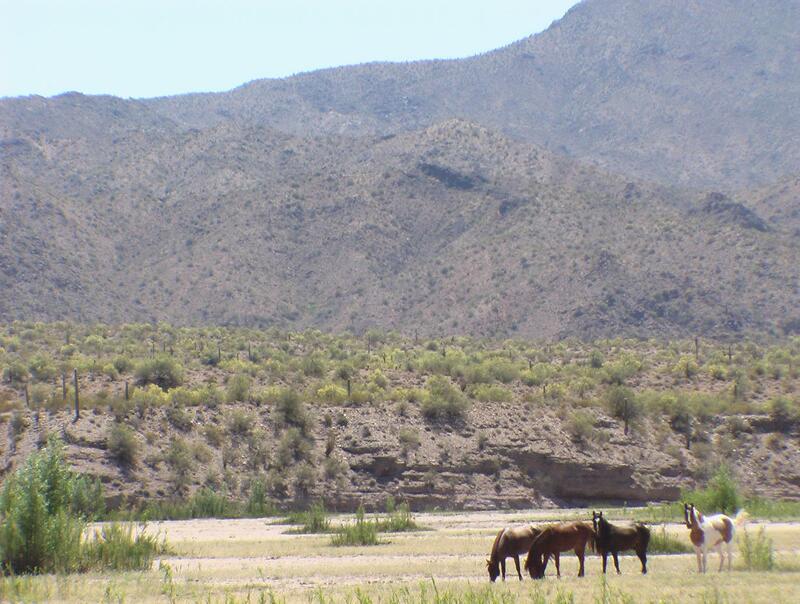 This AZ ranch land for sale is available in 40-200 acre parcels and starting at $4500 to $5,900 per acre. Owner carry back is available on land contracts. 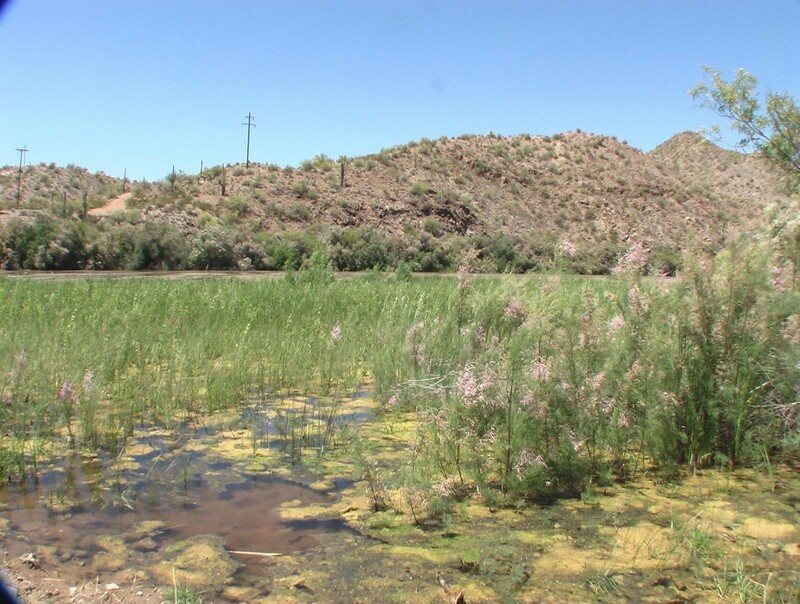 The Arizona water rights for sale parcels are available on request. This price is dependent on the quantity needed and market conditions.